Making a trilogy of movies about one main story with three directors all allowed to develop their own ideas and plotlines sounds rather unwise, surely? How about greenlighting another huge big budget trilogy with no story outline or characters at all? 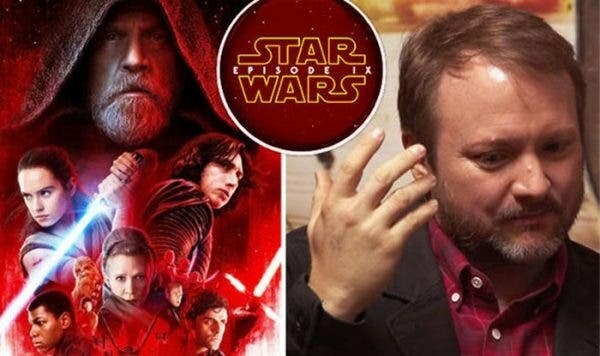 No wonder Disney appears to be suddenly pulling back on plans made by Rian Johnson and Kathleen Kennedy, especially following the explosive fan reaction to The Last Jedi. New comments from long-term Star Wars art director Neil Lamont appear to confirm that work on Johnson's divisive trilogy about "new galaxies" has been stopped, as well as the imperilled Obi-Wan Kenobi spin-off. Back in December Johnson told Slash Film: "We just had just a really good experience (making The Last Jedi)... It was like last week of senior year. We were cleaning out our lockers. And all getting kind of sad. And saying, how do we keep working together? And that I threw out, I said, the most interesting thing to me would be a new trilogy, one story told over three movies. Go new places, meet new folks, come up with a new story to tell in the Star Wars universe. The sky’s the limit. That sounds thrilling. And they really responded to that. So we’re off, yeah. And Disney gave it a go ahead with no specific story idea? : "Yeah, that was it. That was the pitch." After The Last Jedi was released it unleashed a staggering and unexpected backlash with a vocal part of the fandom furious over numerous issues including the teatment of Luke, dismissal of Snoke and fudging of Rey's parentage. And then, crucially, Kennedy’s problems with the original Solo: A Star Wars Story came home to roost when the movie hit cinemas. The original directors Phil Lord and Christopher Miller were sensationally fired after their vision and working practices were deemed too experimental and left-field. Tthe next twelve months increased the nightmare as rumours spread of spiralling costs and decreasing faith in the project across the industry and, even worse, among fans. The Last Jedi backlash and boycott certainly also contributed to a final box office haul of $392million is particularly disastrous when every other modern era Star Wars release has crossed $1billion and the costs of reshoots meant the movie was estimated to need a $500million gross just to break even. Bueno, es Disney pasado mañana puede estar en la calle. 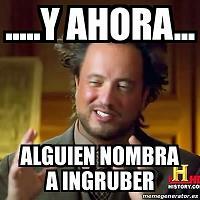 Confiemos. A mi si me dicen que la hace otro hasta me interesaria, pero ya andan con pies de plomo porque ya en una saga que era una sacaperras llevan dos batacazos seguidos...el EP. VII recaudo 2.068 millones de dolares en todo el mundo y el Ep.VIII de Johnson se ha quedado con 1.332 millones, que es una burrada pero en terminos de "la definicion de blockbuster" que son las sagas de Disney pues....ellos veran. Ya sabemos que si sale Indy 5 no ira en esos numeros ni por asomo asi que veremos que as de la manga se saca la Kennedy (si sigue).